I have been a patient for a couple of months now and have had a couple of services done. Each time,I have been sent reminders for the appointments, which is something I didn't receive with my last dental office. In addition, the staff has been courteous and friendly and very conscientious about answering any questions that I had regarding the service that I was receiving as well as following up with any questions that I have had. I would recommend this office to anyone looking for a new dental office! I have been a patient for a couple of months now and have had a couple of services done. Each time, I have been sent reminders for the appointments, which issomething I didn't receive with my last dental office. In addition, the staff has been courteous and friendly and very conscientious about answering any questions that I had regarding the service that I was receiving as well as following up with any questions that I have had. I would recommend this office to anyone looking for a new dental office! Dr Kim is a wonderful Dentist. She is very friendly & warm, caring about the patient's comfort level at all times.She answers questions patiently & in a manner that is very respectful of the patient. Her assistants are great, knowledgeable & very caring as well. I am so glad we found Dr Kim, and her staff & look forward to a long relationship with them. My Husband & I strongly recommend Dr Kim to our family, friends, & everyone. Dr Kim is a wonderful Dentist. She is very friendly & warm, caring about the patient's comfort level at all times. She answers questions patiently & in a manner that isvery respectful of the patient. Her assistants are great, knowledgeable & very caring as well. I am so glad we found Dr Kim, and her staff & look forward to a long relationship with them. My Husband & I strongly recommend Dr Kim to our family, friends, & everyone. Dr. Mary Kim is a dentist and dental pain specialist serving the community of Round Lake Beach, IL. Dr. Kim attended New York University, where she received her dental degree. 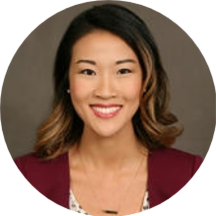 She also completed a residency in general practice at Wyckoff Heights Medical Center Dr. Kim is a part of Dental Care of Round Lake Beach. She is a member of the American Dental Education Association. From Dr. Kim: I truly enjoy putting a smile on someone's face, whether it is through dentistry or just a small, kind gesture. I believe life is too short not to live it to the fullest every day. When I am not at the office I spend my time listening to and discovering new music. Music has always been a huge part of my life. I grew up playing the piano and flute in several orchestras. If you ever want to talk music with me, I am all ears. Outside of the office, I also enjoy traveling, exploring new restaurants and baking Dr. Kim helps patients receive the treatment they need. During her consultations, she explains patients’ conditions and helps them choose an appropriate treatment plan. The care I received was first rate. Also my dental health options were fully explained. I really enjoyed going to the dentist!